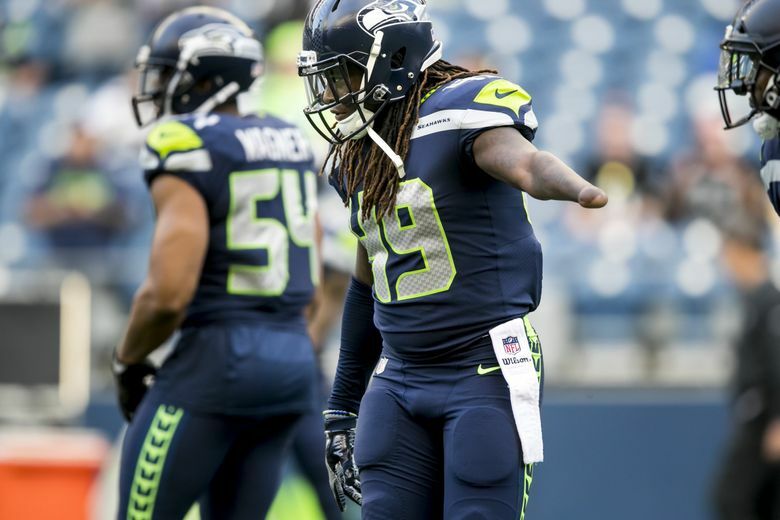 After a statistically empty rookie season, what’s next for Seahawks’ Shaquem Griffin? After starting at weakside linebacker in the season opener at Denver, rookie Shaquem Griffin was relegated to a special teams role and finished with just 11 tackles in 16 games. With K.J. Wright and Mychal Kendricks' futures uncertain, where does Griffin go from here? Shaquem Griffin has a lot to learn. That was evident on Sunday afternoon, when Seahawks standout Bobby Wagner playfully interrupted the rookie linebacker’s interview with the local media. It’s commonplace, of course, for teammates to exchange jerseys at the end of a season and scribble a personal note intended for each specific player. In this case, though, Griffin skipped an important step. Perhaps not as much as the former Central Florida star would have wanted. After all, in his first season as a Seahawk, the 6-foot, 227-pound linebacker produced a grand total of 11 tackles, starting in the season opener at Denver before being relegated to a special-teams role for the final 16 games. He assisted on a single tackle in Seattle’s season-ending 24-22 wild-card loss at Dallas on Saturday night. So how would the 2018 fifth-round pick evaluate a statistically empty rookie season? The question, at this point, is what Griffin’s role might be when he returns. The team’s longtime starting weakside linebacker, 29-year-old K.J. Wright, is a free agent with a questionable knee and a clouded future. Mychal Kendricks’ legal status makes him an equally uncertain option in 2019. Then there’s Griffin, who did little in his NFL debut to instill confidence in his standing with the Seahawks. Now he has to prove his worth again — to himself and to his teammates. “I think now that he’s got his feet wet he’s just got to go out there and make plays,” said Wagner, who was named a Pro Bowl middle linebacker for the fifth consecutive season. “I think what is going to be great for him is to come in in the offseason and be around myself and hopefully K.J. and learn and get back in the playbook. For Griffin, the feeling is mutual. The presence of Wagner, Wright and his brother — second-year cornerback Shaquill Griffin — made a somewhat disappointing rookie season a little easier to digest. Though, if you ask Shaquem, he’s still just blessed to be here. “I had no reason to be down on myself,” Griffin said. “Being able to have the opportunity to be part of this team and part of this group and organization, I was very grateful for whatever position I was in. I always said before, no matter where I play at, as long as I’m part of something and I’m given a chance, that’s all that matters to me. Upset? No. Motivated? No question. Griffin said Sunday that he plans to train in both Dallas and Miami this offseason, aiming specifically to improve his ability to communicate and diagnose plays before the snap. With one season in Seattle under his belt, Griffin still has plenty to learn (and Wagner, at least, to learn from). “Being that we’re young and coming up and we showed a lot of resilience, we’re not the team to be messed with,” Griffin said of the Seahawks’ future. “It gives you the sense that (you want to) hurry up and get back.